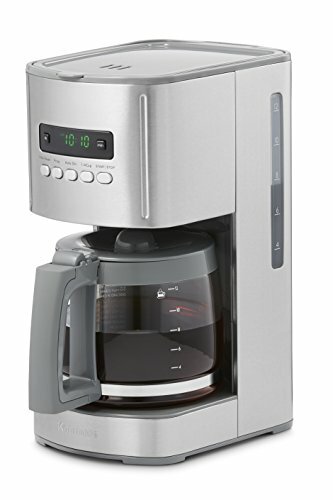 Kenmore 12-Cup Programmable Aroma Control Coffee Maker in Stainless Steel. Pause and serve highlight gives you a chance to pour your first glass before the whole pot is fermented. Non-stick covered plate keeps espresso warm. 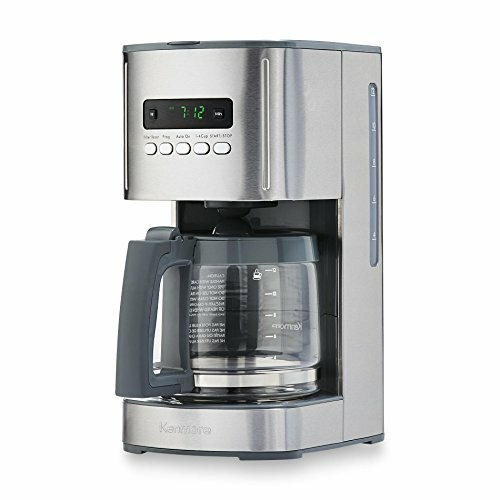 With the Kenmore 12-Cup programmable smell control espresso creator, you’ll never need to spend another morning sitting tight for your espresso. 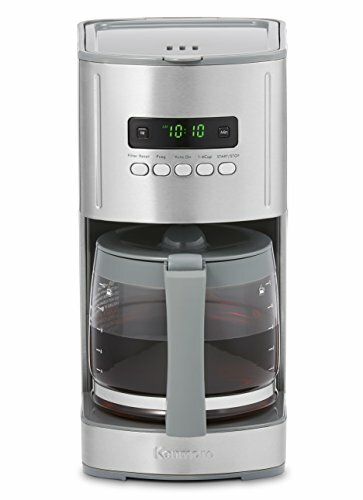 A consummately fermented pot will be prepared when you get up when utilizing the programmable clock set for the correct time you need it prepared. Regardless of whether you like it light or dim, solid or mellow, you’ll have the capacity to locate the ideal container with this machine. 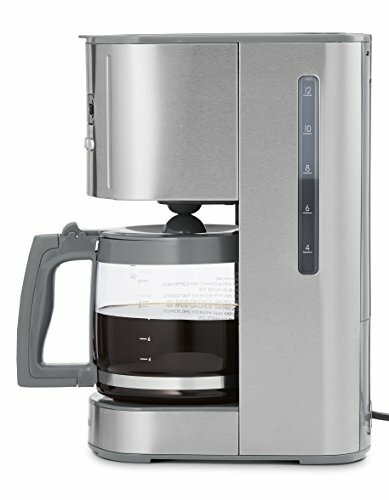 Cutting edge blending innovation soaks the grounds previously discharging the espresso into the carafe, giving a more extravagant, all the more fulfilling glass. You probably won’t trust it now, yet with the sort of espresso you’ll be drinking out of this machine, you’ll be stating, “Hi Monday” before long!